Thanks so much for your interest. The schedule is coming soon, fingers crossed tomorrow, it’s looking fantastic, lots of varied activities each day. I’m afraid we are not involved in booking accomodation for attendees, but most of the spaces in the festival have rooms which you can book approaching directly and besides them there are lots of great value options in Amed. We look forward to seeing you in Amed, it’s going to be awesome. Ok thanks any news about it? I need to plan a little bit. 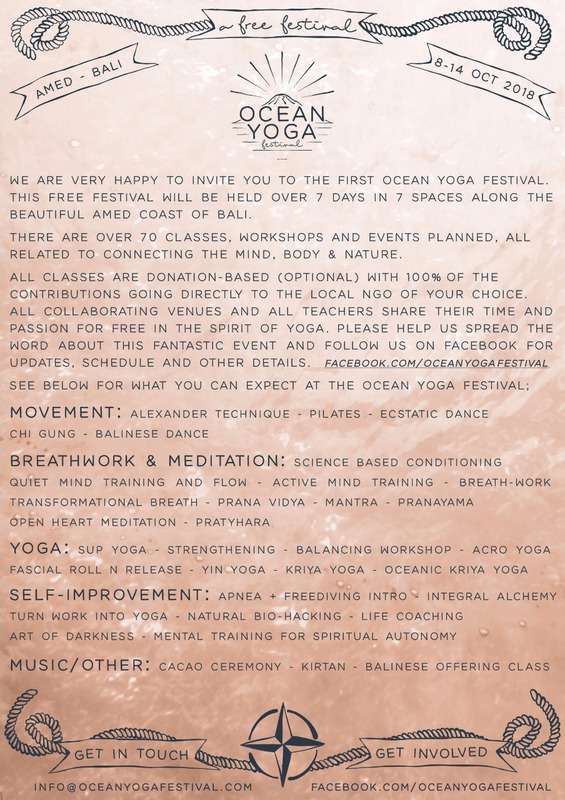 Im really interested to join this events since i love yoga. But could you share the detail schedule? Also how far is it to go there from Canggu? Thanks for your interest, it’ll be an awesome gathering of people. We’ve been a bit overwhelmed by response so still putting timetable together. 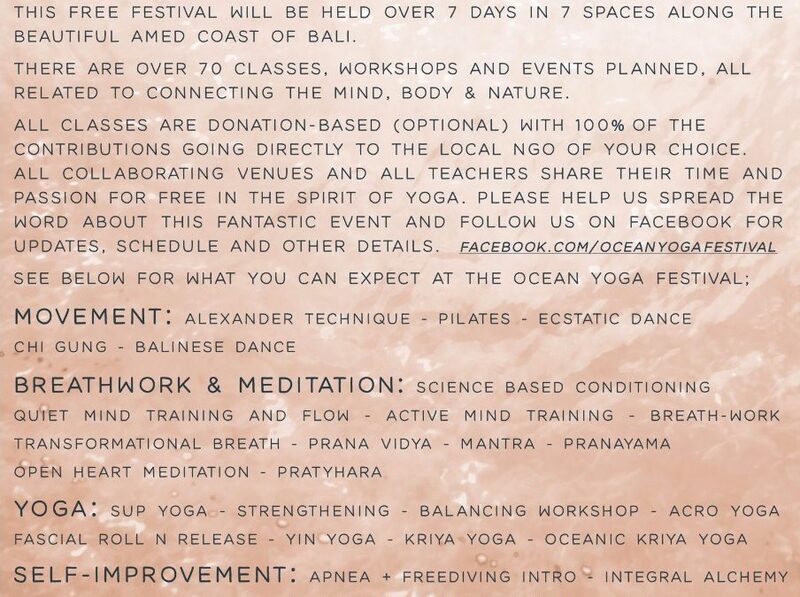 You have a basic daily schedule on the facebook page with Blue Earth village being the central venue. Amed is about 3hrs drive from Canggu. Please follow on facebook for updates and look for transport/rooms on Amed community facebook.